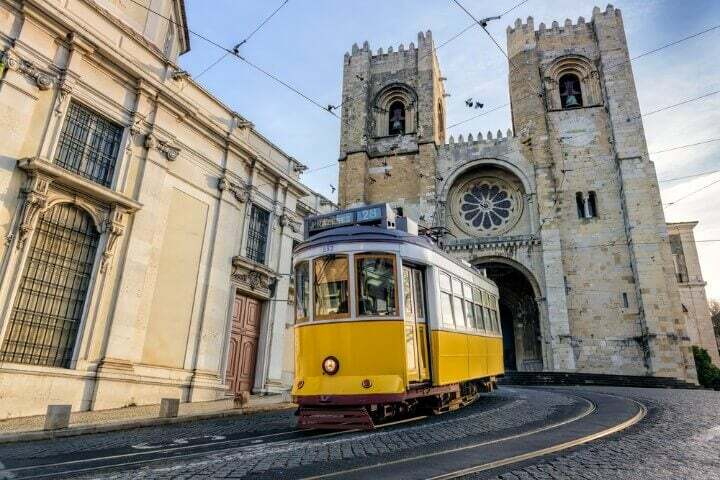 With vintage suburbs represented by creaking golden trams passing these narrow streets that make the core of Lisbon’s character and allowing you to easily fall in admiration for the city. 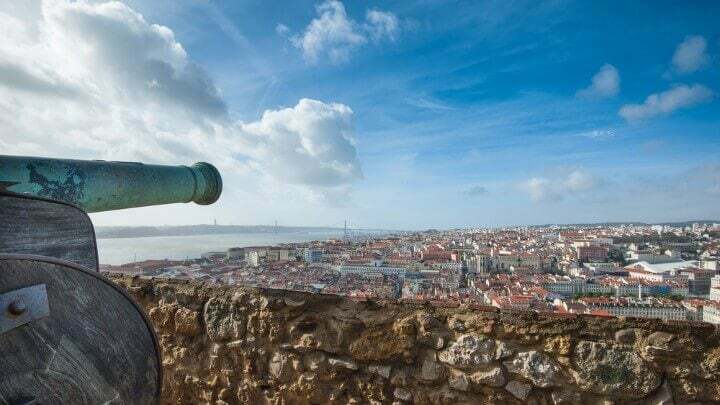 Throw in some historic attractions, the buzz of the city, the growing food scene and its backdrop of beach and water, it’s a wonder why Lisbon has took so long to be internationally noticed. The good thing about Lisbon is that it has things you must see and things that not everyone gets to see and this is why you should visit! 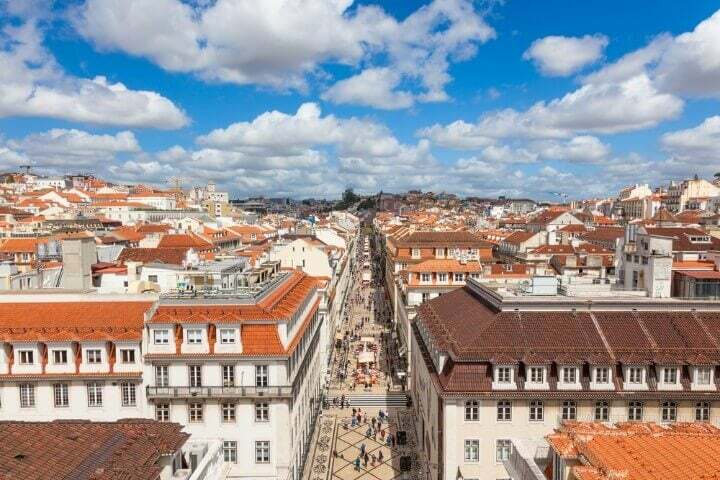 PS – Watch the Lisbon Travel Tips video for more suggestions of what to do and see in the Portuguese capital. The heart of Lisbon’s nightlife, Bairro Alto (high neighbourhood) has more bars per square metre than anywhere in Europe. This means for a night on the town, you’ve got plenty to choose from. 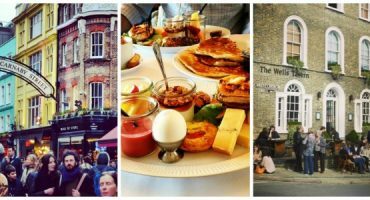 Walk within several hilly cobbled-stone blocks to pick your favourite spot that is popular with both locals and visitors alike. Everyone congregates on the streets from each bar, providing a festival-like atmosphere. The bars range of all kinds from nightclub-esk style to trendy spots. 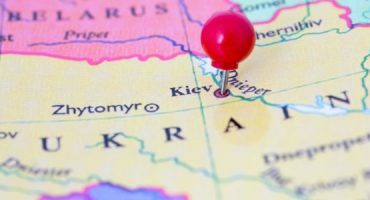 One in particular always has a great atmosphere with regular live music and excellent happy hour deals – two 0,5L beers for 4€ and 0,5L cocktails with fresh lime/strawberry for 5€ – is at Kitsch’n Bar! One of the coolest districts in Lisbon, if you want to experience Alfama genuinely make sure to visit early. Mass groups of tourists – all to the displeasure of the locals – are swarming the streets of Alfama. 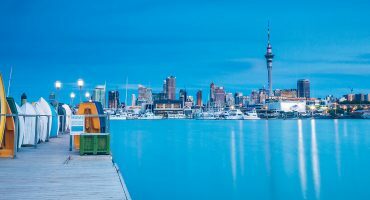 But it’s easy to see why with its charming streets, quirky restaurants and crafty vibe. 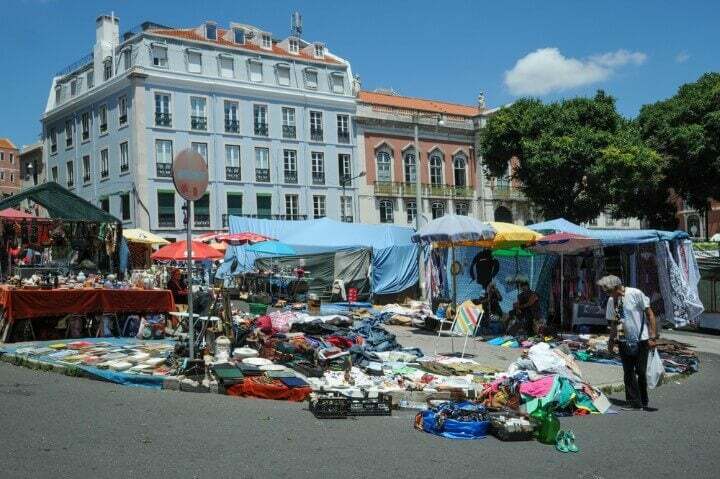 For one of Lisbon’s coolest flea markets, head behind the Santa Engrácia Church to Feira da Ladra (Thieves Fair). Full of vintage, antique and bargain-buy items, there’s always a hidden gem or two to be found here. Fado is the music and soul of Portugal so no trip would be complete without listening and learning about this famous music. 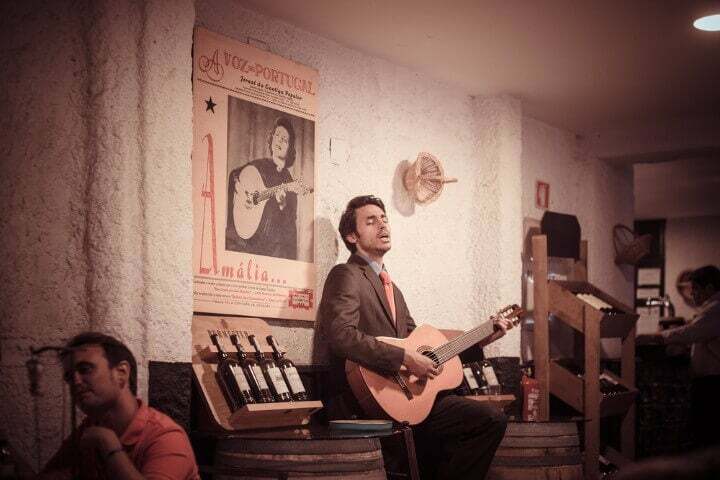 Head to the Fado Museum to learn more, with the genre dating back to the 1800’s! 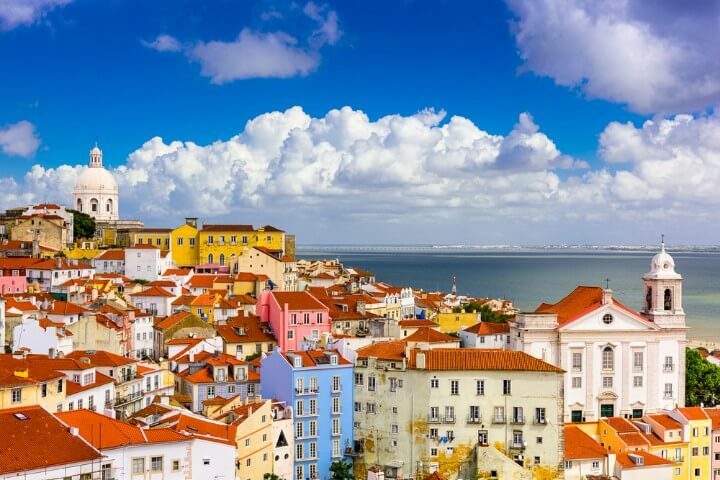 ✈️ + 🏨 Search for flight + hotel in Lisbon! One of Lisbon’s most iconic and instagrammable features is the Golden 28 tram. Shifting through the narrow and hilly streets of the city, the tram is an emblem of Lisbon. Whether you just watch it trundle by, take a video for Snapchat or board get onboard, it adds quaintness to the capital. 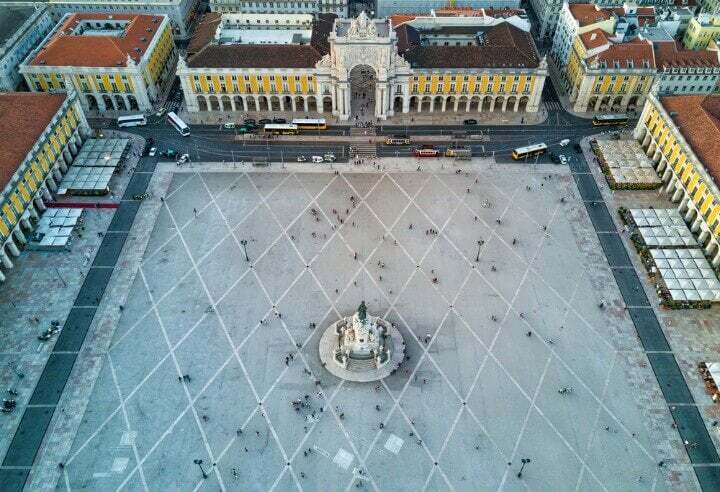 Joint by the Rua Augusta Arch, this will feel like the entrance to the city of Lisbon. 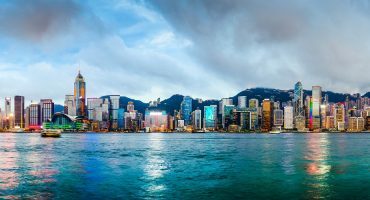 Stunning with the surrounding architecture, it’s here you can get your bearings but you whisk off into the wonders of the city. As you wander down Rua Augusta Street there will be the temptation to do a little shopping. Casa Portuguesa has Pastel de Bacalhau that is Salted Cod Fritters, especially popular in these parts. Don’t mind the odd street entertainer too, including the men who are ‘statues’! If you want a more higher and central view of your surroundings then take the Santa Justa Lift. 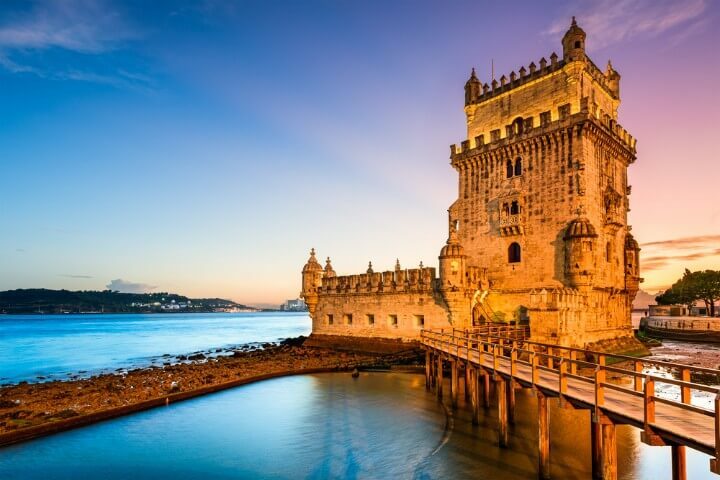 Belém Tower, a UNESCO World Heritage Site and one of the Seven Wonders of Portugal is arguably the first point of call here. Fine in it’s preserved appearance; this sits proudly on the northern bank of the River Tagus. Vasco da Gama, one of Portugal’s most famous explorers lies here in his tomb within Jerónimos Monastery, another UNESCO World Heritage Site. The first European to reach India by sea, if you’ve ever been influenced by famous explorers to encourage your own travels, Vasco da Gama should be one of them. 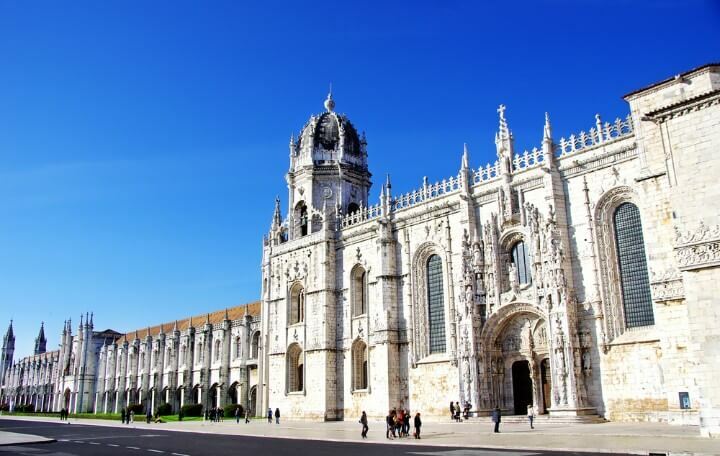 Not only is does this legend lie here; the monastery itself boasts outstanding architecture making this a must visit within Belem. ✈️ Fly me to Lisbon! 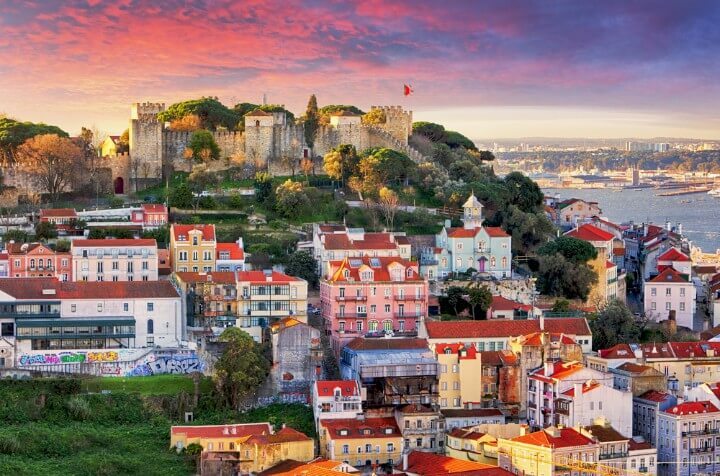 One if not Lisbon’s main culture attraction, São Jorge Castle overlooks the Baixa and Chiado districts, with the Tagus River to the left. Even the journey to São Jorge Castle is a pretty one, with cobbled stone streets leading the way with shops and restaurants running in parallel either side. Once you get to the top, the castle has a ton of history to learn about. From chambers to gardens to palaces, São Jorge Castle is perfect to fill up your morning or afternoon. And of course, take a few panoramic shots of the view below! 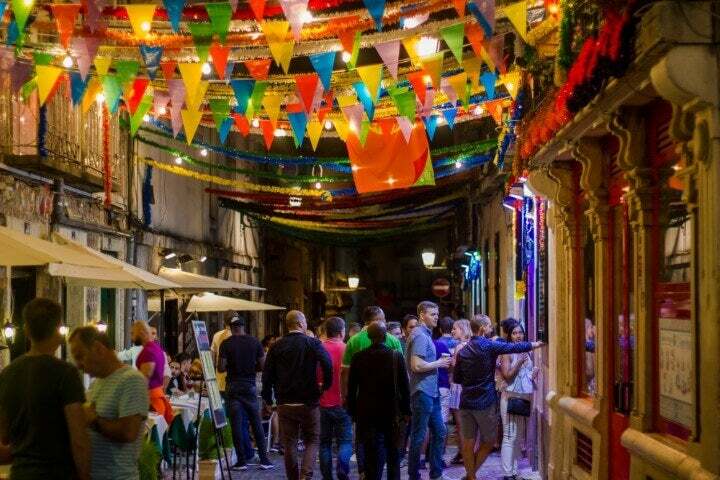 Rua Nova do Carvalho comes alive at night and is normally the place everyone visits after Bairro Alto. 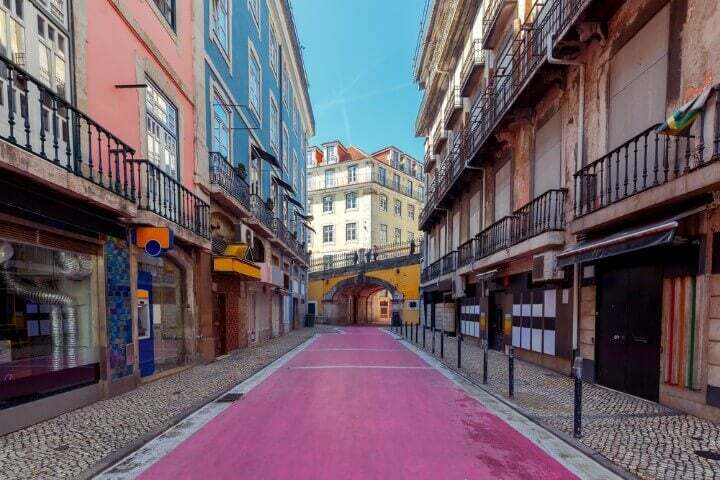 Getting its name because of its painted bright pink appearance; ‘Pink Street’ is alternative and edgy. With a selection of late night bars and a handful of restaurants, it’s a perfect place to see out the night in Lisbon. Music Box is the last port of call but before that, make sure you try out Sol e Pesca for Portugal’s speciality choice of sardines. 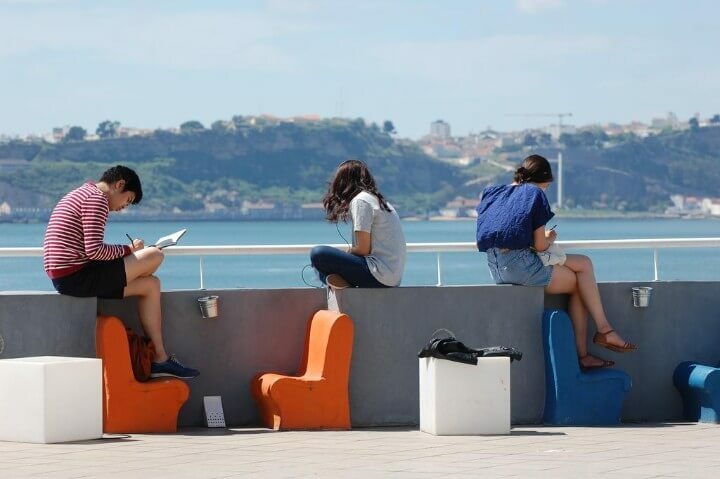 It is widely thought that Portugal is home to the world’s best hostels. With many winning awards regularly as the top hostel through various booking sites, there is an abundance to choose from. Lis’bon Hostel has a large common area; is in a central location and best of all it has the best hostel balcony view in Lisbon. There are a variety of options such as budget dorms, private rooms and suites. 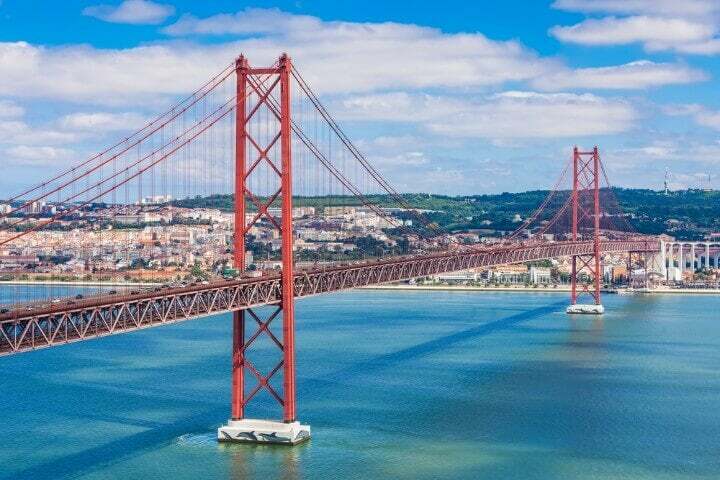 Visit the 25th April Bridge, similar but smaller than San Francisco’s Golden Gate Bridge. 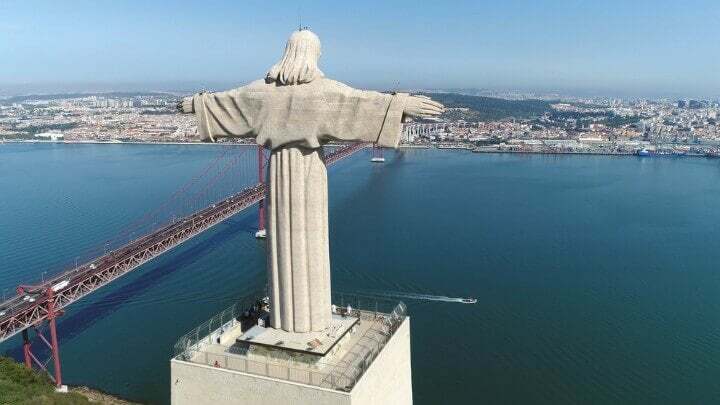 The Christ the King statue also has similarities with Rio de Janiero’s, Christ the Redeemer. Eat as many custard egg tarts as possible; they really are a speciality here! 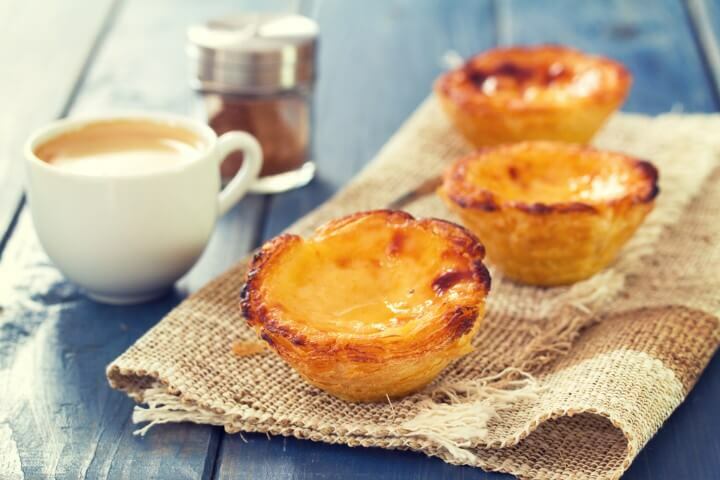 They are called Pastéis de Nata – check out Pastéis de Belém for the original recipe!